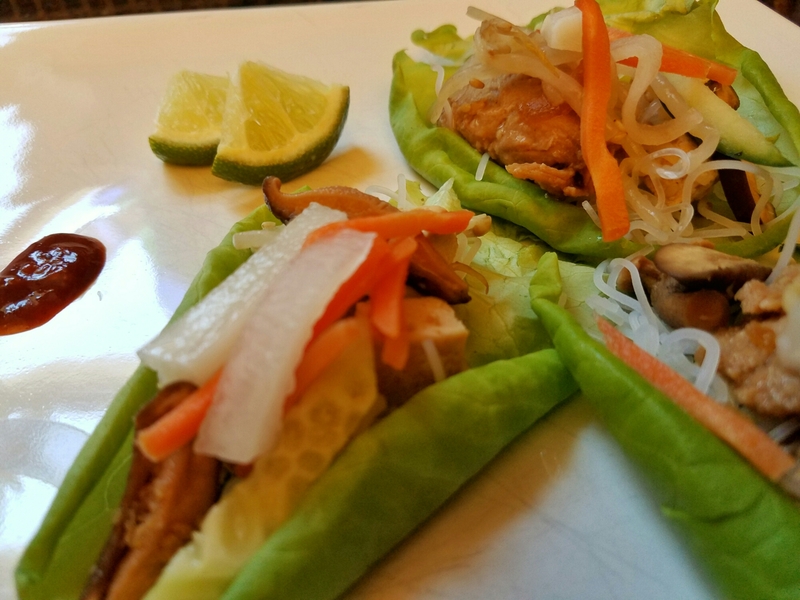 Sometimes you need a meal that you can enjoy warm or cold – teriyaki lettuce wraps is one of those meals. First, I took chicken breast and cut them into cubes that were about a half-inch to an inch big. Then I placed them in a bowl and marinated them in Trader Joe’s Soyaki marinade overnight. In the meantime, I had prepped some bean sprouts, sliced some cucumber, onions and mushrooms. 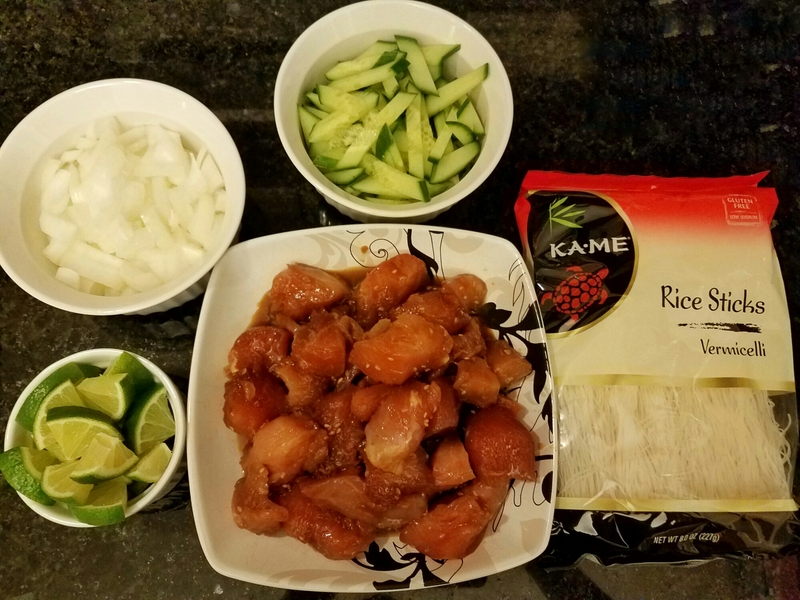 I also made some rice noodles as well. Boil some water, add a little bit of salt, then the noodles. They are cooked within a few minutes. After the chicken was done marinating, I heated up a pan and added some canola oil. 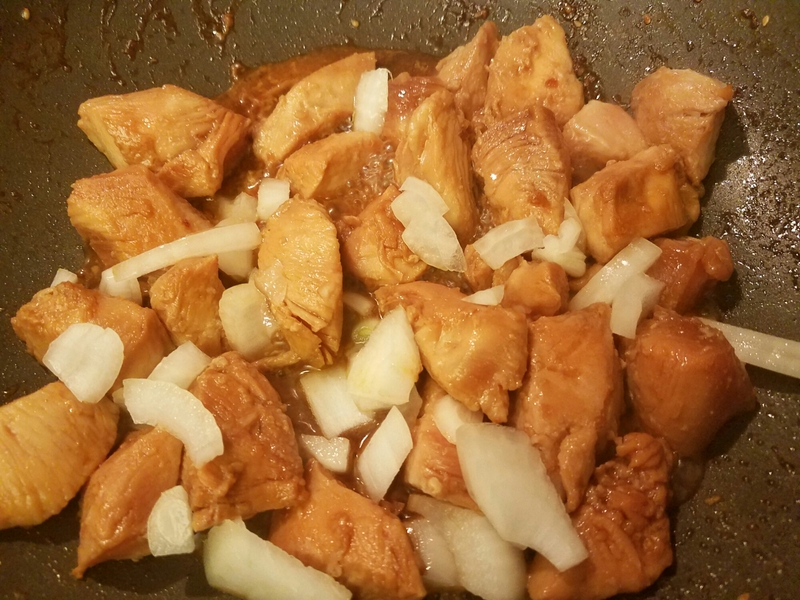 I stir fried the chicken with sliced onion until done. It was easy, quick and healthy! I hope that you will enjoy this as much as I have!